Beaver Creek Transport is the lead customer for Kenworth’s new T880, CNG fueled. Kenworth is talking up the first T880 tractors to be delivered with natural gas fuel systems: a pair of compressed natural gas trucks for Beaver Creek Transport in Minnesota. 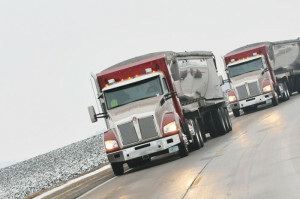 Minnesota’s Beaver Creek Transport is the lead customer for Kenworth’s new T880, CNG-fueled. Brothers Randy and Scott Tersteeg run a family farm and a trucking and warehousing business – Beaver Creek Transport in Olivia, west of Minneapolis. The new trucks are powered by 400-horsepower 11.9-liter ISX12 G engines from Cummins Westport. The two new trucks for Beaver Creek Transport have 145-DGE back-of-cab fuel systems from Salt Lake City-based Worthington Fuel Systems, aka dHybrid. They have 145-diesel-gallon-equivalent back-of-cab CNG fuel tank assemblies made by dHybrid, which is now Worthington Fuel Systems (F&F, October 20). Also according to Kenworth, Tersteeg estimates Beaver Creek Transport saves about $200 in fuel costs each day operating both trucks compared to the cost of operating its diesel-powered trucks – even with diesel prices currently at about $3 per gallon. Natural gas is a fit too as Beaver Creek has evolved over the last several years into an active player in the alternative waste-to-energy fuel market, Kenworth says. 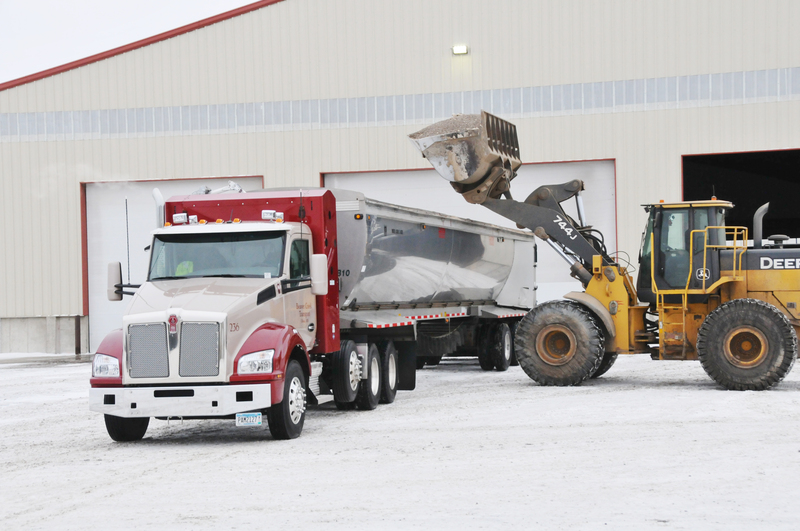 The firm still moves products from the family’s Minnesota farms, but since 2007 has specialized in the transportation of poultry litter from area farms to the FibroMinn power plant in Benson, Minn. The 55-megawatt plant generates electricity by burning 700,000 tons of poultry litter each year. Beaver Creek also transports about 125,000 tons of fertilizer derived from FibroMinn waste ash. ‘Since the T880s began running in August, they’ve operated well in some of our hottest and coldest temperatures of the year,’ says Randy Tersteeg. The fertilizer is made at North American Fertilizer, an adjacent manufacturing facility the Tersteegs opened when the power plant began operation in 2007. “Since the T880’s began running in August, they’ve operated well in some of our hottest and coldest temperatures of the year”, – Randy Tersteeg. Ease of service, cabin visibility, and durability and resale value were among the factors in the company’s choice of the Kenworth T880, the manufacturer says. “Our trucks run about 400 miles per day in a variety of different environments from the highway to deeply rutted farm roads,” Tersteeg says.